Trimble GCEstimator™ Suite incorporates best-of-breed estimating and takeoff solutions designed to increase efficiencies, win more work, and maximize the profitability of projects before, during and after construction. With a single knowledge base that captures your company’s estimating methods, your work will be delivered faster and with absolute confidence. WinEst allows you to easily create, manage and integrate detailed project estimates, using cost-knowledge management, to increase productivity and customise essential documents. SketchUp Viewer and HoloLens Bring 3D models to life in mixed reality, and step into a powerful new way to explore, understand, and share your work. 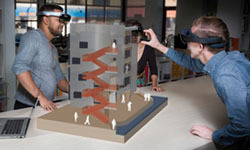 SketchUp Viewer and the Microsoft HoloLens allow you to interact with 3D models beyond the confines of a 2D computer screen. 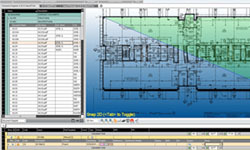 This allows you to improve quality, transparency and collaboration across the Design-Build-Operate lifecycle of buildings.